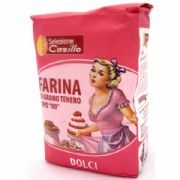 Italian Pizza Flour Mix - very fine, soft Italian 00 flour mixed with wheatgerm, sourdough starter and malt flour. Making pizza at home has never been easier with this authentic pizza mix which has been imported from Italy. 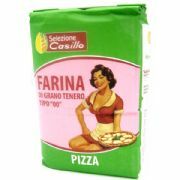 A perfect mixture for making a tasty pizza crusts with a well risen edge and fantastic smell, just like in a pizzeria. The mixture is enhanced with sourdough starter, which helps it to rise. 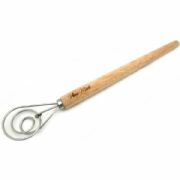 The addition of wheat germ, the innermost and finest part of the grain, and a stone grinding results is a very high quality flour. NB This flour mix doesn't contain yeast, so you will still need to add the type you prefer (whether fresh, dry, or brewer's yeast) in the correct proportions for the weight of flour being used. 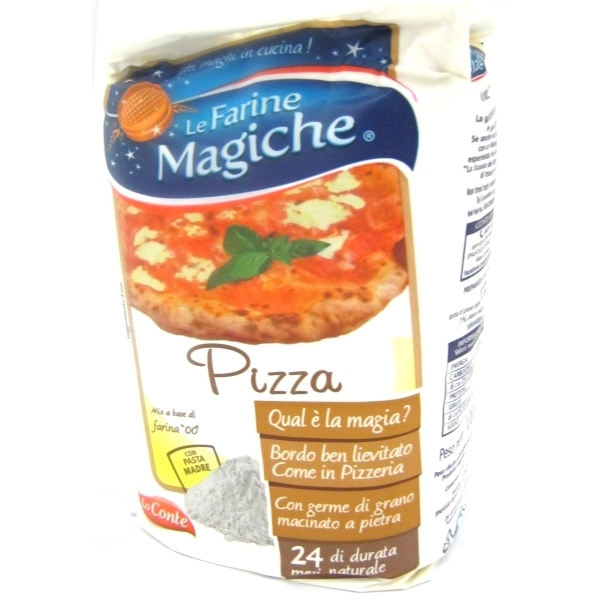 Substitute this mix for the flour in your favourite pizza base recipe or try the recipe below. 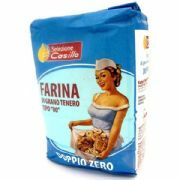 Ingredients: Type "00" Soft Wheat Flour (97%), Wheat Germ (1%), Sourdough (1%), Malt Flour, anti-oxidant Ascorbic Acid (Vitamin C). Contains Gluten. Mix the ingredients in the order indicated and knead for at least 15 minutes until you have a smooth, dry dough. Let stand for 30 min. covered with a damp cloth in a warm room. Divide the dough into 4 balls. Lightly oil and cover them with a damp cloth. Let rise in a warm room (about 30C) until doubled in volume (about 2.3 hours). 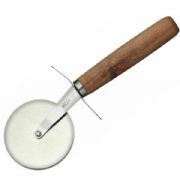 Stretch by hand on a floured board into circles of 25 cm in diameter leaving the edges thicker than the middle. 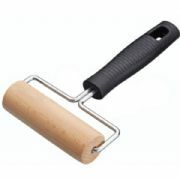 If you prefer you can roll out more thinly with a rolling pin. Add toppings to taste and cook in preheated oven at maximum temperature for about 10 min. or until the edges are golden brown.